We have some flowers and a decorative watering can on a little stand outside our front door, you know, to class the joint up a little bit. One day I saw what I thought was decorative grass sticking out of the watering can, and I asked my wife if she had decided to enhance the display in some way. She said no. First, I was surprised the bird could talk. Second, it reminded me of a band I’d heard one time. 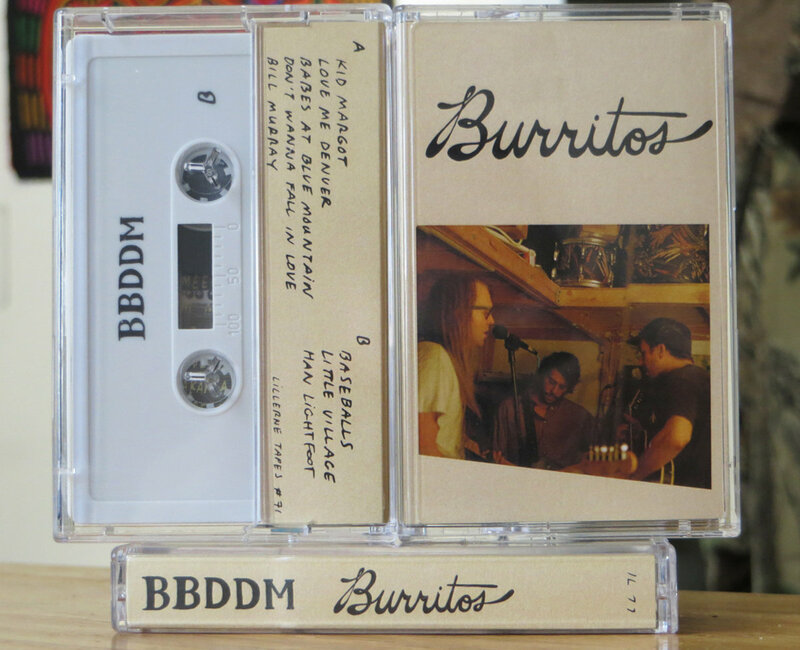 Then it hit me – I had a tape called “Burritos” by a band called Baby Birds Don’t Drink Milk, which was really coincidental, but I decided to go inside and play it. Maybe it would impart other bird lessons in much the same way my new chickadee friend had. Turns out the trio BBDDM makes lovely, ethereal indie pop that drifts across prairies and deserts and snowfields and lakes, ingeniously folding the space into the music so that it breathes without effort. 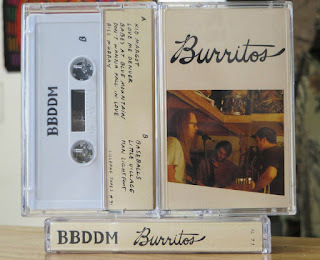 At times eschewing traditional songcraft to allow the music to expand, at others knocking out a melodic earworm hook with wonderful harmonized vocals like they could do it in their sleep, BBDDM had me hooked, gripped in the talons of “Burritos,” floating high above ground on a cloudless summer day. It was like a whisper and a dream, but the melodies were true, and the feelings were mutual. I became a bird through magic, and it was only then that I truly understood. Parts of this story are true. One of them is that this tape came out in 2016. So please, enjoy with me the memory of its physical passing.